A log cabin is a smaller form of a log house. The log cabins may or may not have electricity and plumbing. Log construction was initially common in some of the European nations where pine and spruce trees were readily available. It later came to North America, where people loved and adopted it quickly. Wood provides excellent heat resistance, and that is why it has become so famous when it to comes to making homes or cabins. If you want to have a log cabin of your own, you need to get yourself a cabin kit in the first place. Choosing it can be tricky, especially if it is the first time that you have to do this. 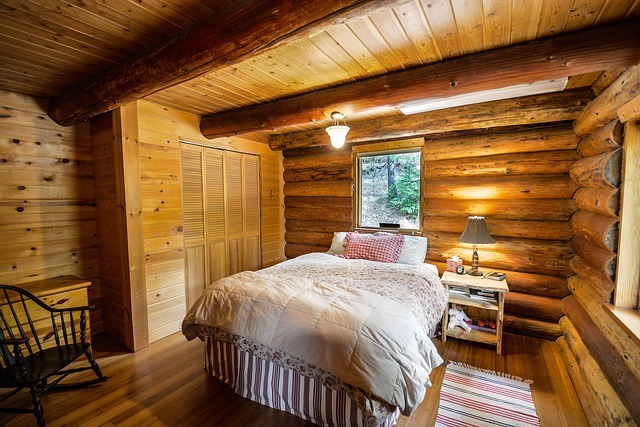 This guide will help undoubtedly help you in getting the best log cabin kit. When building log homes or cabins, there are a number of kinds of woods to choose from. Some are even pre-engineered to use for the same. The mixture of the species can be used as well. The selection of logs to construct a log home depends on a number of factors. They range from personal choice, to the budget. Some of the species of wood that are used to build are Pine; it can be red, yellow, or white, oak, Spruce, Hemlock, Cypress, Walnut, Poplar, Ponderosa, etc. When deciding the type of wood to for your log cabin, you need to fix a budget first, because the prices of these species are not the same. Then the traits of wood have to be understood. Wood from the regions that are at higher altitudes has much tighter rings, and thus considered the densest one. The geography of location plays a significant role in this process. For instance, the best log cabin kits in Colorado might not be good enough some other state. Everyone has a budget to do things. Some have a lot of money, while others don’t. But having lesser money does not mean that you cannot get a log cabin built. All those species of woods come at different prices. Not all of them are expensive. If you select the native wood type, which means the wood type that is readily available in your region, it would cost you much lesser than an imported one, because, the shipping charges are incurred by the customer only. This parameter is wholly based on personal choice. Some people want it completely natural, so they choose the natural ones because they don’t have the human-made finish. While others prefer the logs that have proper cuts, drillings for wires, and other conveniences. Pre-engineered logs do not face the shrinkage issues. When finally decided and bought the best-suited one, you must now be aware that the free space between these logs, upon joining, has to be filled with some sealant which can prevent air, water, and insects, from infiltrating your cabin. The most commonly used thing to do is the log chinking. It is kind of a latex polymer which fills the gaps between the logs. If it gets installed accurately, there will be no need to re-do it on a regular basis. If you take care of the tips that are mentioned above, before you purchase a kit for your log cabin kit, you’ll definitely ensure a durable and aesthetic cabin for yourself. No matter if it is used on a regular basis or for just vacations, you will not encounter any problem for sure, if done properly. Go on and make your dream a reality. One does not get such opportunities time and again, so you should not waste your resources on any random stuff.